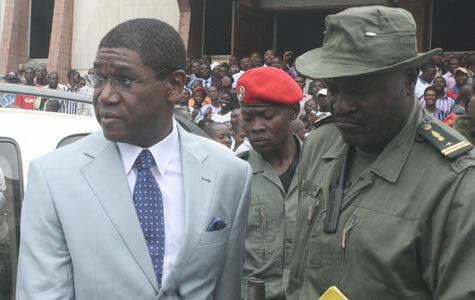 A court in Cameroon has jailed for life the former head of the defunct national carrier Camair, Yves Michel Fotso, on conviction of embezzling almost $56 million, legal sources said Tuesday. The judges “found Mr Fotso guilty of embezzling 32.4 billion CFA francs” ($55.7 million, 49.4 million euros) when he was chief executive of the airline, whose full name was Cameroon Airlines, from 2000 to 2003, said another source close to the case. Fotso created three front companies to rent aircraft to the airline when the planes had already been purchased outright with public funds, the source explained. The judges also found Fotso guilty of making fraudulent withdrawals of funds from a Camair account at the Commercial Bank of Cameroon (CBC). The tycoon consistently protested his innocence. In February, his lawyers decided to boycott hearings at the special tribunal, denouncing procedural irregularities. President Paul Biya, who has ruled since 1982 over a state rated highly corrupt by Transparency International, had called on Fotso to save the foundering airline in 2000. Instead, the businessman used his position to increase his already considerable wealth and became embroiled in several scandals concerning his management of Camair. Imprisoned since December 2010, Fotso was given a 25-year jail sentence in September 2012, together with a former top aide to Biya, Marafa Hamidou Yaya. The pair were found guilty of embezzling $29 million that Cameroon paid in 2001 for a presidential plane in a deal that fell through. Fotso became a target of the “Sparrowhawk” anti-corruption campaign launched in 2006 under strong pressure from Cameroon’s foreign donor partners. A large number of people, including other heads of state-owned firms and former government ministers, have been arrested. The Cameroonian government put Camair into liquidation in 2005, before launching Camair-Co, which is also confronted with serious financial great difficulties.